The ten papers appearing in this volume are selections from the conference on Justification held at Wheaton College Graduate school in April of 2003: â€œThe Gospel, Freedom and Righteousness: The Doctrine of Justification.â€ One would think that a book such as this one, published at the time that this one was, would be all about the current debate over the so-called â€œnew perspectiveâ€ on Paul. This collection of essays, however, demonstrates that there is much more to the Justification debate than the quarrel about the character of first century rabbinic Judaism and its influence on the apostle to the Gentiles. These papers take up the question whether imputed righteousness is â€œfictive, forensic or transformativeâ€ (p. 7). 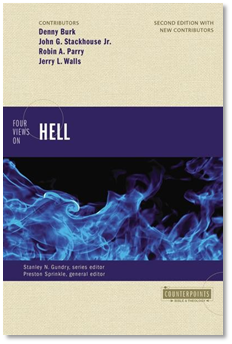 The book divides into four parts: (1) Justification and Biblical theology, (2) Justification and the Crisis of Protestantism, (2) Justification in Protestant Traditions, and (4) Justification and Ecumenical Endeavor. 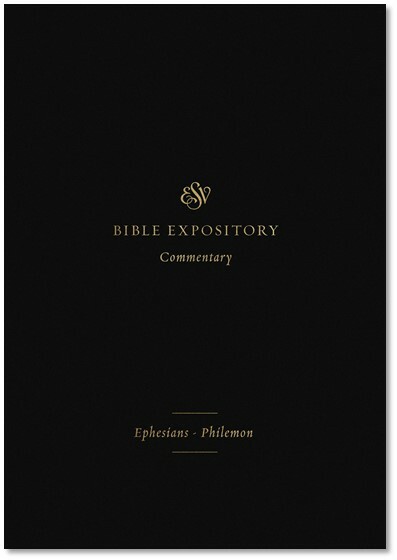 In his essay in the current volume, â€œThe Nonimputation of Christâ€™s Righteousness,â€ Gundry argues that Paulâ€™s imputation language nowhere states that Christâ€™s righteousness is imputed. I commend Gundry for his serious and consistent engagement of the biblical text in formulating his argument against imputation. Too many arguments about imputation stray far a field from the scriptures and reel off into debates about philosophical constructs that bear little if any immediate resemblance to the arguments of Paul. Gundry recognizes that the Scripture is indeed the battleground, and this is precisely where Gundry likes to take his stand. This being said, however, I think that Gundryâ€™s essay misses the mark on a number of points. First, Gundry writes with a garrulous prose that often obscures the point he is trying to make. For instance, on page 41 we find the following sentence: â€œIn 2 Corinthians 5:21 the making of him who did not know sin to be sin on our behalf refers again to the propitiatory death of Christ, for which his sinlessness qualified him (cf. 1 Pet 3:18); and our becoming the righteousness of God in him refers to the attained purpose of that death, namely, Godâ€™s counting as righteousness the faith that united us to the Christ who died for us.â€ This is a ghastly sentence, and it is hard to imagine that this was originally read aloud. One of the chief obstacles to fruitful debate over the issue of imputation is that opponents often misunderstand one another, as Carson points out in his remarks on â€œdomains of discourse.â€ This kind of needlessly diffuse verbiage permeates his essay and makes it more difficult to read than need be. Second, Gundry is prone to making false dichotomies in his exegesis in order to make his case against imputation. For instance, on page 35 in footnote 38, Gundry argues against John Piper that Christâ€™s â€œfulfilling all righteousnessâ€ is â€œexemplary rather than vicarious.â€ Gundry makes a very convincing case that Matthew presents this â€œfulfillingâ€ as exemplary. But this exegesis does not exclude the possibility that â€œfulfilling all righteousnessâ€ is both exemplary and vicarious. Gundry does not even acknowledge this possibility. Gundry also makes a false dichotomy between Christâ€™s propitiatory death and his life of obedience: â€œthe act of righteousness consisted in obeying God the Father to the extent of dying on a cross and did not include the totality of Christâ€™s earthly lifeâ€ (p. 32). In Philippians 2:8, at least, this argument ignores the fact mechri is a â€œmarker of degree or measureâ€ (BDAG, 644), such that Christâ€™s â€œobedienceâ€ is construed not only in its climax (the cross) but also in the life of obedience that precedes the climax. D. A. Carsonâ€™s offers the second essay of part one: â€œThe Vindication of Imputation: On Fields of Discourse and Semantic Fields.â€ Carson shows that arguments such as Gundryâ€™s fall apart when one considers that theologians often speak in two domains of discourse: exegesis and theology. While it is true that the logizomai word-group is not linked explicitly with the righteousness of Christ in Paulâ€™s writings (the exegetical field of discourse), it is certain that the substance of the idea is contained within Paulâ€™s theology (the theological field of discourse). While we would not want to read a full-blow doctrine of the imputation of Christâ€™s righteousness into every use of logizomai, that does not make the doctrine itself non-Pauline. Carson effectively shows that when Paul speaks of faith being counted as righteousness, faith is counted as something it is not not: â€œGodâ€™s imputation of Abrahamâ€™s faith to Abraham as righteousness cannot be grounded in the assumption that that faith is itself intrinsically righteous, so that Godâ€™s â€˜imputingâ€™ of it to Abraham in no more than a recognition of what it intrinsically isâ€ (p. 60). God does not count Abraham as righteous because of what he is intrinsically through his faith: â€œIn that sense, then, we are dealing with what systematicians call an alien righteousnessâ€ (ibid.). It is this reviewers opinion that Carson has presented a more compelling case for the imputation of Christâ€™s righteousness than has Gundry. In part two, the title of Bruce McCormackâ€™s essay asks the question that he is concerned to answer, â€œWhatâ€™s at Stake in Current Debates over Justification? The Crisis of Protestantism in the West.â€ McCormack answers that the whole doctrinal basis of the Reformation is at stake in the current debate over Justification: â€œWhat is at stake in the current debates over justification? My answer is: nothing less than the Reformationâ€ (p. 82). 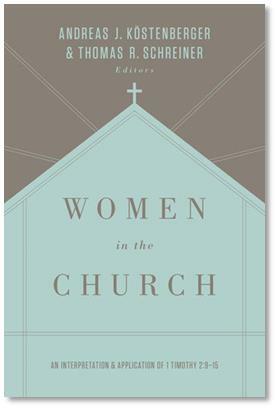 McCormack contends that â€œat the heart of the Reformation understanding of justification lay the notion of a positive imputation of Christâ€™s righteousnessâ€ (p. 83). In an overview of the theology of Aquinas, Luther, and Calvin, McCormack shows that the Reformers break with medieval Catholicism was less than complete â€œdue to a residual commitment to Medieval Catholic understandings of regeneration and a shaky grasp of the relation of justification and regenerationâ€ (p. 84). McCormack may be correct in his historical reconstruction, but his theological conclusion could have been made stronger if he had made a better attempt to show how his view emerges from the scriptures (see p. 106 where McCormack offers his disclaimer about not appealing to scripture to support his view). The second essay in part two, â€œJustification and Justice: The Promising Problematique of Protestant Ethics in the Work of Paul L. Lehmannâ€ by Philip G. Ziegler, considers the ethical implications of the doctrine of Justification. Ziegler sets out to show the value of Paul Lehmannâ€™s claim that, â€œfor Christian theology, the beginning of all social and political criticism as well as endeavor is the salutary critique of morality and religion which takes place in the advent of the justification of the ungodly in the person and work of Jesus Christâ€ (p. 122). The first essay in part three is by a biblical scholar, not a historical theologian. In â€œLuther, Melanchthon and Paul on the Question of Imputation: Recommendations on a Current Debate,â€ Mark Seifrid contends that Luther and Melanchthon held different views on the issue of imputation: â€œMelanchthon takes the human being as his starting-point, and thinks of justification in terms of human qualities and response. It is surely for this reason that he has such a great difficulty in understanding Luther, who views justification first and foremost in terms of the work of the Gospel, the word of God, which, apart from any contribution from the fallen human being, brings the new creature into existence, in whom faith and all its works are presentâ€ (p. 143). Many will see Seifridâ€™s reading of Luther as unconventional as he argues that for Luther imputation is not merely â€œforensicâ€ but also â€œan effective word of Godâ€ (p. 145). Seifrid concludes that the popular doctrine of the imputation of Christâ€™s righteousness is an accretion attributable to Melanchthon. Seifridâ€™s own reading of Paulâ€™s imputation language agrees with Gundry (p. 146). The second essay in part three is by Robert Kolb: â€œContemporary Lutheran Understandings of the Doctrine of Justification: A Selective Glimpse.â€ In this paper, Kolb offers reflections on his participation in the August 2002 International Congress on Luther Research in Copenhagen. He contrasts two streams of Luther interpretation that are current today. Kolb concludes that Luther taught that justification is both forensic and effective. He commends this understanding of justification as one that is the most faithful reading of Luther and the most faithful reading of the Gospel: â€œGodâ€™s justifying word of the Gospel impels believers into the performance of Godâ€™s expectations for their whole livesâ€ (p. 175). The third essay in part three is by Kenneth J. Collins: â€œThe Doctrine of Justification: Historic Wesleyan and Contemporary Understandings.â€ Collins asserts that John Wesley was â€œone of the greatest champions of sola fide on English soilâ€ (p. 177). 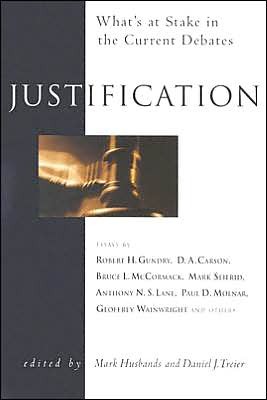 After an exposition of Wesleyâ€™s doctrine of justification by faith, Collins argues that the 1999 â€œJoint Declarationâ€ between Lutherans and Roman Catholics does not affirm a faithful Protestant understanding of justification. The first essay in part four is by Anthony S. Lane: â€œTwofold Righteousness: A Key to the Doctrine of Justification?â€ Lane gives an examination of article 5 of the 1541 Regensburg Colloquy, in which â€œProtestant and Catholic theologians produced an agreed statement on justification by faithâ€ (p. 205). Lane concludes that if Evangelical Protestants could consider adopting the â€œtwofold righteousnessâ€ language of article 5 without letting go of the language of justification/sanctification, then Evangelicals might better avoid â€œlapsing into a soft form of Antinomianismâ€ (p. 221). Lane adds an appendix with a new translation of Article 5. The second essay of part four is by Paul Molnar, the only Roman Catholic contributor: â€œThe Theology of Justification in Dogmatic Context.â€ He uses the work of Karl Barth and Karl Rahner to show that conversations between Protestants and Catholics can agree upon theological positions that use the same language, but that the respective sides may be employing that language with different meanings. He insists that any agreement between Protestants and Catholics must have a statement on â€œtheological method, our knowledge of God, the incarnation and the resurrection as starting points for that knowledge of God and therefore of our justification by faithâ€ (p. 248). The last essay of part four, is by Geoffrey Wainwright: â€œThe Ecclesial Scope of Justification.â€ Wainwright sets forth an understanding of justification that has the potential for ecumenical reconciliation. He concludes that unity between Protestants and Catholics lies somewhere in the midst of a series of controversial tensions: (1) the individual versus the church, (2) passivity versus activity, (3) imputated righteousness versus imparted righteousness. Thank you Dr. Denny for the helpful overview of another book in the unfortunate, ongoing debate of justification and the attendant importance of imputation. I too was disappointed of no real interaction with proponents of the NPP. Your review was helpful for a busy pastor who cannot read all the current books. I still believe Luther was right: the church does fall or stand on the doctrine of justification by faith. I guess I’m going to have to partially disagree with ol’ Marty and say that the Church doesn’t stand or fall on the article of justification by faith, because the Church isn’t built upon a proposition. It is built upon Christ ALONE. (now I’m sounding like Luther…hmmm). No one is saved by believing in justification by faith alone, even though I heartily believe in justification by faith alone. One is saved by believing that Jesus is Lord and that God raised Him from the dead — and being baptised if you want to get Markian about it (or Petrine for that matter). Many, in going down this path of argumentation over the “imputation of active and passive obedience” don’t realize that you are pushing a salvation that is non-covenantal and becomes hyper-individualistic and assentual. We do not believe in sola assensus, but sola fide. Gosh, I guess I really like Marty after all. 😉 Keep up the good work, Denny. You are just about my favorit Baptist.